Just a reminder that Challenge #181 is at the half way point. You still have plenty of time to join the fun with our Teammate Kelly's theme of White on White. Challenge closes on Saturday, November 1st, at midnight, EST. You must use a House Mouse Designs image, including House Mouse, Gruffie or Happy Hopper. your theme, allowing you to play even if you don't have an image or idea that fits the challenge. Gift Voucher for $12 to use at their online store. at the House Mouse and Friends Monday Challenge. And two great prizes too! Spookily, I have this image too, and I LOVE IT :oD Love what you've done with it. White on white is just so difficult to get right and you've really pulled it off here. This is fabulous Sue, such an elegant WOW card but fun as well with your brilliant image - I love all of your die cut details. Gorgeous card Sue, I love the cute image and wonderful spooky white detailing! 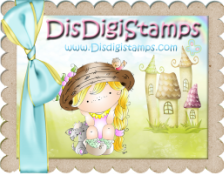 Beautiful is your card so adorable are your images too! Sue this is so cute! I just love your Halloween theme.